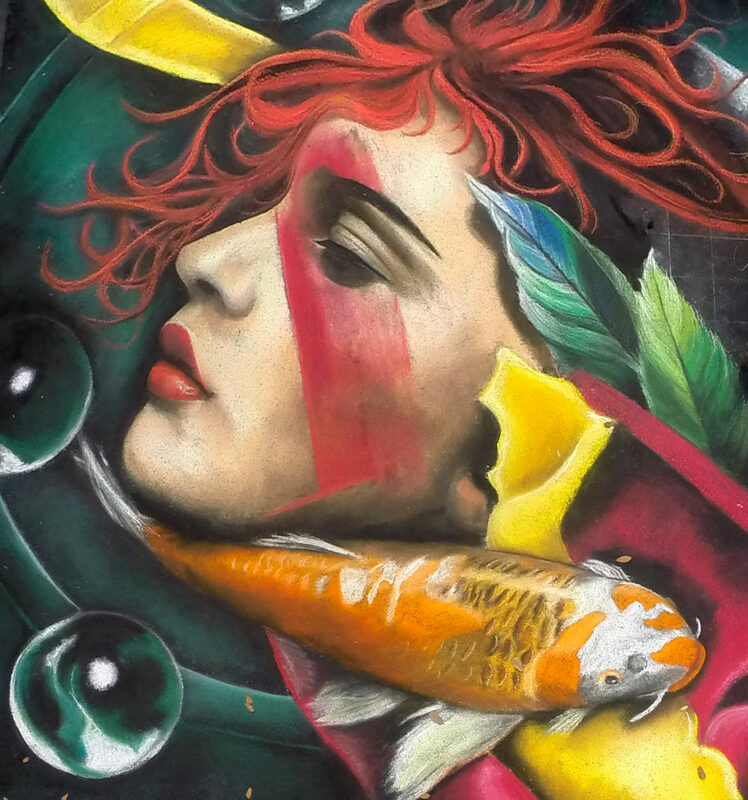 Jessi Queen is a chalk artist and website designer living in Atlanta, GA. She started chalking at the SCAD Sidewalk Arts Festival in 2007, receiving Honorable Mention, while she was a just a high schooler. Growing up in Savannah, she fell in love with the chalk medium and practiced large drawings at school and in her driveway. After attending SCAD herself, she continued to share chalk with others. She has led workshops for various colleges including the Art Institute of Atlanta, SCAD art camps, art and music festivals and events for nonprofit organizations. She introduced Zach to the medium and they have been chalking together since 2012. 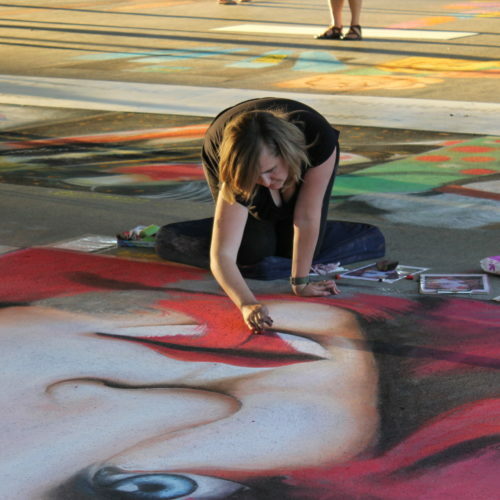 In 2013, she was asked to be a featured artist at the Marietta Chalk Festival and her chalk traveling adventures were kicked off. In 2014, she started the Georgia Chalk Artists Guild and partners with Georgia festivals to bring chalk art to various corners of the state. In 2016 her and Zach traveled to Germany and italy for international chalk festivals. 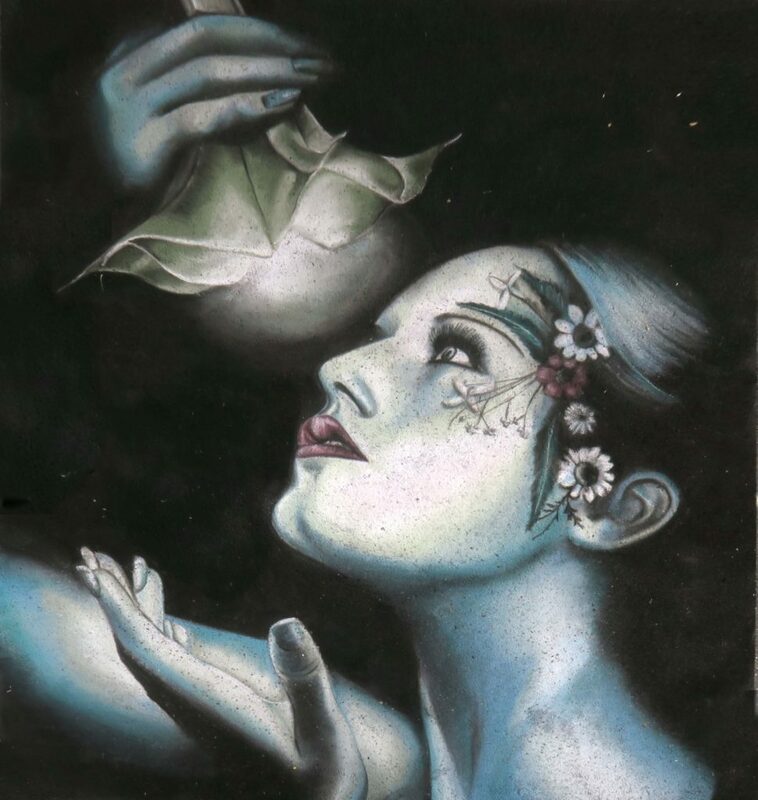 She has since won several awards for her work and displayed chalk drawings in local art shows.